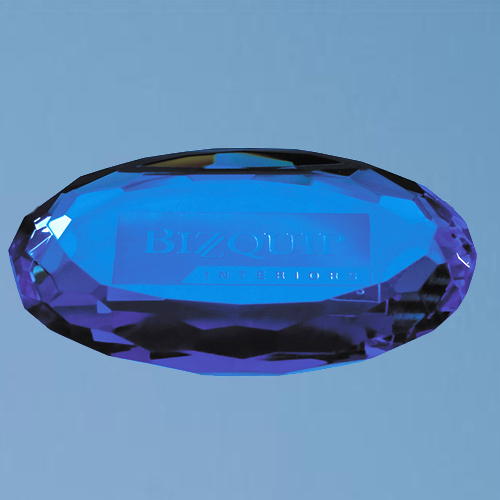 The distinctive Sapphire Blue optic oval paperweight is hand polished with facets around the edge. It can be used as a personal or business gift and once engraved the frosted effect of the sandblasting stands out against the blue optic crystal. The paperweights are supplied in individual presentation gift boxes.